Artist Pamela Hunt Lee: It's A Wrap. and it's a wrap, well almost. Just a few more days and we will begin a new year, new beginnings, new hopes, new dreams, new plans, new projects. My list for 2018 is beginning to grow, but has a couple left overs from this current year. One of those 'still to complete' projects is a Tahoe Rocks painting with red in the palette. 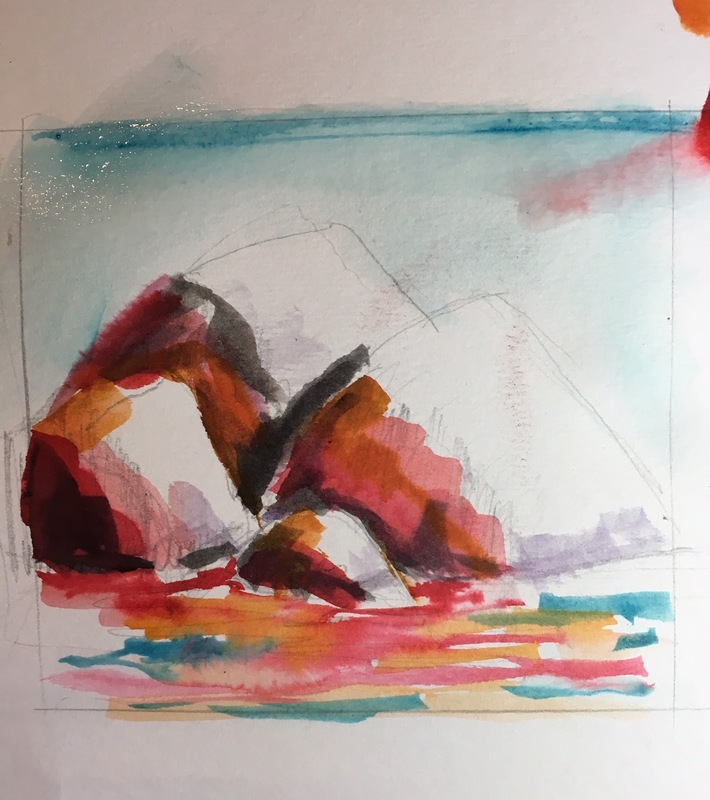 This was requested by a fellow painter, and though I was able to get some pencil and simple watercolor sketches completed, the actual painting has not been started. With today as my first day back in the studio after a lengthy absence, the painting will move forward. 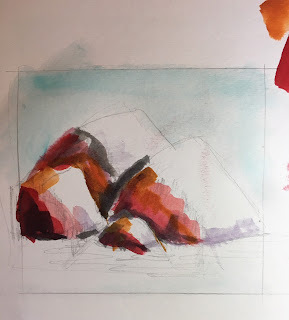 First I wanted to share the two small watercolor sketches you see here. Not sure all of these colors will appear in the final work, as this is the beginning. Check back to see photos of progress on the painting. Though it is the end of the year, it's a new beginning in the studio.